At this time we are currently not running any LinkedIn activations in the platform. It is, however, a feature our Development team is working to include in the system soon. In the meantime you can connect your LinkedIn account in preparation for future LinkedIn Campaigns. 2. Find the LinkedIn drop-down and hit the arrow to the right to add your LinkedIn. Then select, Add a LinkedIn Account. 3. A pop-up window will appear. If you are not already signed into your LinkedIn account, enter your email and passwords in the respective fields. Once you have finished, select Sign In. 4. From here, select Allow. This will give the system access to your LinkedIn basic profile. 5. 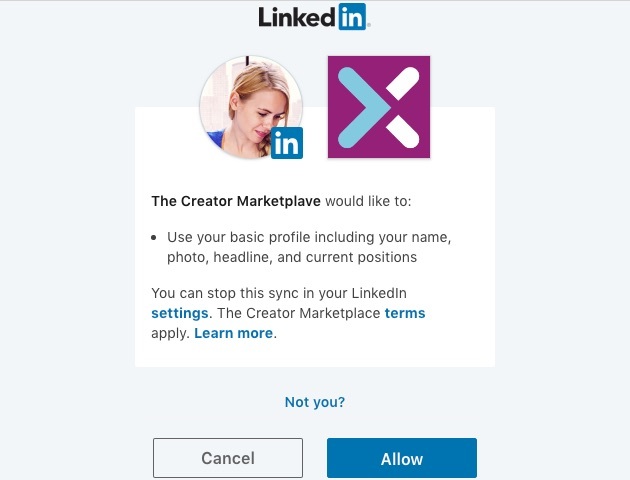 Your LinkedIn is now connected to your Account. 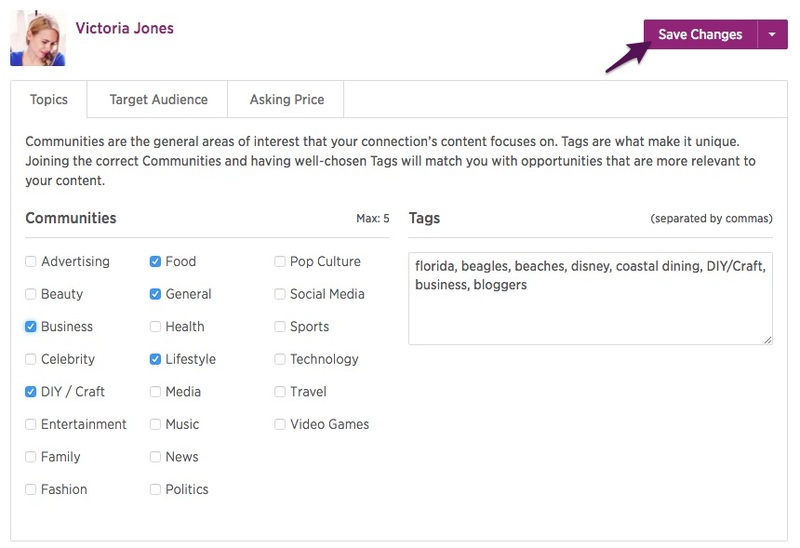 Make sure to fill out all of your Communities/Tags and select Save Changes.